Marketing on social media can be a lesson in frustration, since each social network has its own strengths and limitations. But really effective campaigns use those rules to their advantage. And Ikea’s most recent Facebook campaign did just that. By turning Facebook’s tagging system into a contest, Ikea achieved one of those elusive social media goals — they got their campaign to go viral. For the cost of a few items, the company raised awareness, engaged with consumers and helped publicize the launch of a new store. To advertise the launch of Ikea’s new store in Malmo Sweden, Ikea’s ad team, Forsman & Bodenfors, “kidnapped the most popular function” of Facebook. They created a profile for the store’s manager, Gordon Gustavsson, and over a two week period the team uploaded 12 pictures of store showrooms to his profile page. Swedish Facebook members were encouraged to add Gordon as a friend and tag themselves to products in the showroom. The first person to tag an item then won that Ikea product. Facebook users that tagged themselves then shared the action with their friends via their news feed. But also, people excited about the contest publicized it themselves. The pictures spread to thousands of profile pages, newsfeeds and links. Beyond the creative, it only cost Ikea a few free items. And by using Facebook’s existing functionality, Ikea and its marketing team were able to achieve that elusive social media goal — consumer engagement and promotion without the cost of an expensive TV, print or digital campaign. 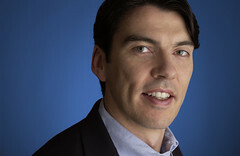 Can Tim Armstrong make AOL king of content by 2010? AOL’s new CEO Tim Armstrong has been quickly buying up talent and increasing AOL’s media properties in the lead up to the company’s tkt from parent Time Warner later this year. At the Roosevelt hotel in New York today, Armstrong went into AOL’s continuing strategy. 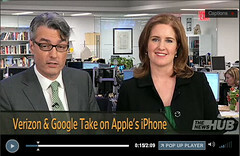 It’s true that content online has a long way to go. But is AOL the one to make it happen? The holidays are right around the corner and that means that online retailers are gearing up for what is usually the busiest shopping season of the year. This won’t be your typical holiday season, however. Although one might argue that the global economy is in a better place than it was at this time in 2008, times are still tough for a lot of people and that means that retailers will need to go into Holiday 2009 prepared for another challenging year.